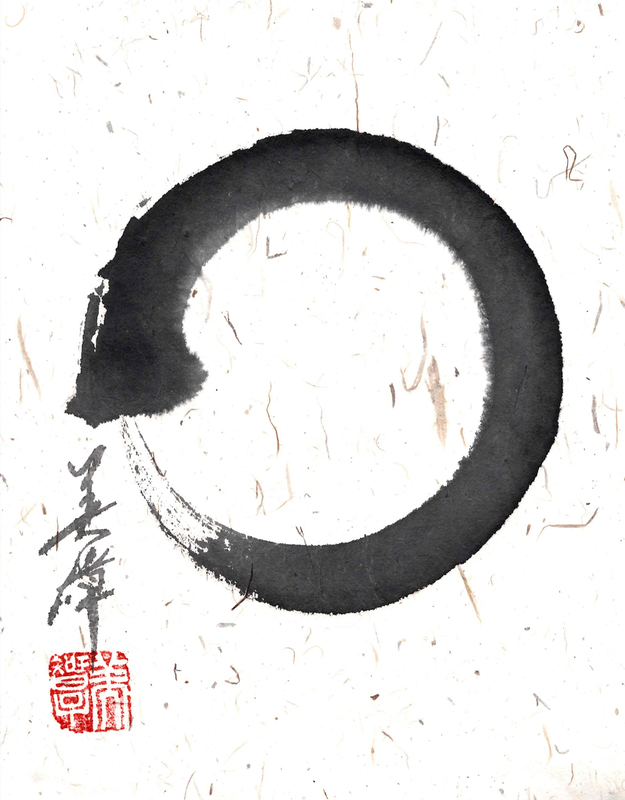 The circle is called ENSO in Japan means Universe, Continuation, Reincarnation... Each person has a different history, background, so this circle could be anything. My Enso circle is slowly moving and endless. Ms Michiko Imai was born and raised in Nara, Japan. She began her studies of Calligraphy at the age of four at Baikou Calligraphy School. Michiko Imai is among the few to have won multiple category awards in national competitions (Japan). Her work has been displayed at the Tokyo Metropolitan Art Museum, Osaka Municipal Museum Of Art, Nara City Museum Of Art and Kyoto Municipal Museum Of Art. Michiko arrived in United States in November 2008. She performed her calligraphy at Museum of fine art in Boston 2011, Peabody Essex Museum in Salem 2010, 2011, Prudential Center in Boston 2009, Boston Children’s Museum 2009 and workshops at Montserrat college of art, North Eastern University.